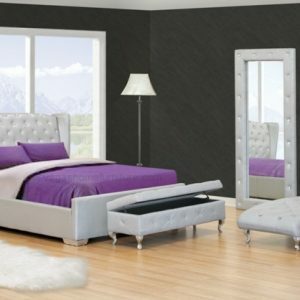 Create a centerpiece in your bedroom with this stunning upholstered bed. 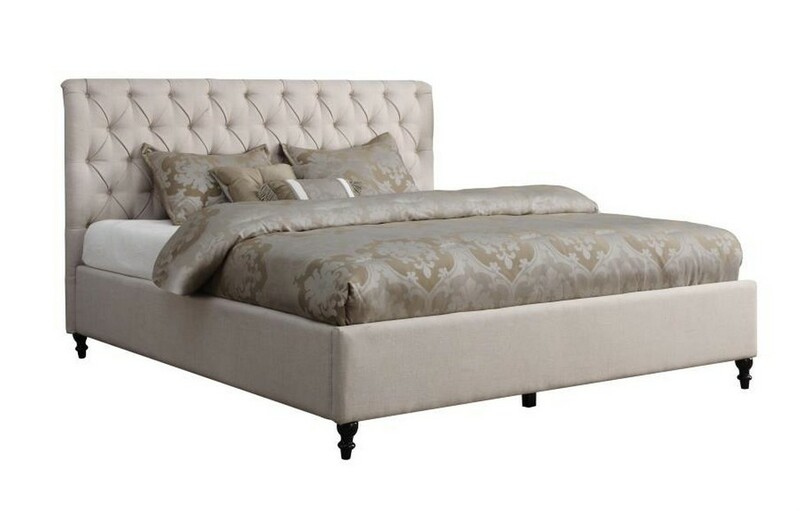 featuring a beautiful oatmeal linen-like upholstery, it has a grandly-scaled headboard that is decorated with classy button tufting to add visual depth and dimension. a platform style base gives the piece a contemporary look and feel. 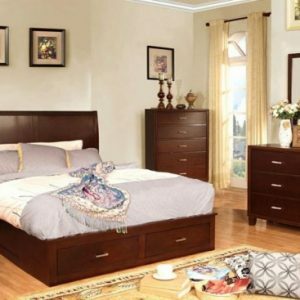 the rails can also be reversed to accommodate a box sprin lifted on exposed turned wood feet, this upholstered bed is sure to complement your bedroom decor.